The Women’s Earth and Climate Caucus is now glad to offer a series of seminars and trainings in building Resilient Community. Transition US is proud to be hosting these three virtual conversations prior to in-person courses to be held in Corte Madera, CA. Join us for a heartfelt evening of connection and hope, as we come together to celebrate the growing Transition Movement. This is a fundraiser to benefit Transition US and our work training emerging leaders, supporting new Transition Towns, and helping communities kick the carbon habit and build a thriving, resilient future. A special conversation with Chris Martenson, author of The Crash Course: The Unsustainable Future Of Our Economy, Energy, And Environment. Video of Rob Hopkins' talk at Sunrise Off Grid Festival in Summerset available now on Rob's blog. Transition Brixton launches the UK’s first local electronic currency in it's 2nd year - read more. First Transition Training held inTurkey! read more. In Greensboro, NC: "Local currency to be printed to stimulate the economy"
"In Portland, Transition Movement preparing for a world after peak oil"
Transition Sarasota founder and Executive Director Don Hall was also on WSRQ Radio to talk about Transition Sarasota's Local Food Campaign. Listen to speakers such as David Suzuki and Vandana Shiva, hear presentations from small food enterprises and attend breakout sessions relating to the soil, our food system and the economy. Explore the forefront of positive change in deeply inspiring keynote talks, panels, workshops and intensives. Connect with leading-edge people and ideas. This month Transtion Initiatives have been organizing everything from birthday celebrations to harvest swaps to solar energy home tours, and of course mobilizing for Moving Planet. Check out the September roundup of what's happening in the world of Transition and browse resources shared by others in the network. To top it off, we're asking you: Who will be the100th official Transition Initiative in the US? In just three short years the number of official Transition Initiatives have grown to nearly 100 (99 to be exact as of today). Who is going the be the 100th? We know there are literally hundreds of Transition groups following the model and building community resilience. Becoming "official" couldn't be easier (learn how). We encourage you to add "going official" to your next meeting agenda and submit the paperwork soon for a chance to claim the spot of 100! Transition Initiatives across the country mobilized for this global day of action. 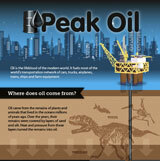 Transition US is proud to have been a parter with Moving Planet on this important day of action. Please share your photos! Email info@transitionus.org. Thanks to everyone who tuned in to our live call with Rob on September 12th, hosted by Vicki Robin, on "Exploring the Ingredients of Transition." Rob answered questions about how the movement is evolving, right down to the nitty-gritty of intiatives developing social enterprises to support the local economy. Also, many thanks to Rani of Transition Palo Alto who transcribed our first live conversation with Rob, hosted by Richard Heinberg (about 16 single-spaced pages!). ...and enter to win a prize! How is Transition evolving across the US? Once a year Transition US puts out a survey to capture a snapshot of how Transition is evolving across the country. 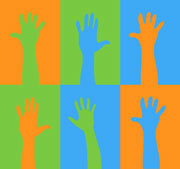 Whether you are currently involved with one of the 99 Official Transition Initiatives in the US, or have not taken the step of becoming official yet, your answers will help us to prioritize and shape future work to support Transition Initiatives. The Prize: Complete the survey and you'll be entered into a draw for one of three copies of Rob Hopkins' new book, courtesy of Chelsea Green! 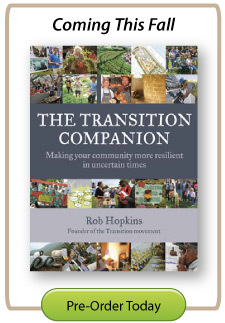 Rob’s eagerly awaited new book, The Transition Companion, draws from the experience of Transition communities throughout the world. In our recent interactive web chat on September 22nd, we looked at two different models for community resilience building: Resilience Circles & Transition Initiatives. Resilience building is far from a one size fits all effort. By exploring two of the most developed models, we hope to inspire action across political and social divides. Follow the conversation of PCI's Asher MIller, Transition Board Member Vicki Robin and Resilience Circles Founder Chuck Collins online here. IN related work, we're helping create models for resilient philanthropy. PCI's Ken White takes an interesting look at the future of giving in a world of reduced economies in "Resilient Philanthropy: Giving Beyond Growth"